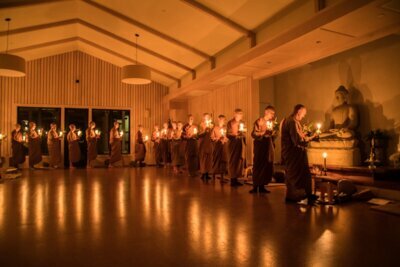 picture: Magha Puja 2018 celebrations at Abhayagiri Monastery, California, USA. 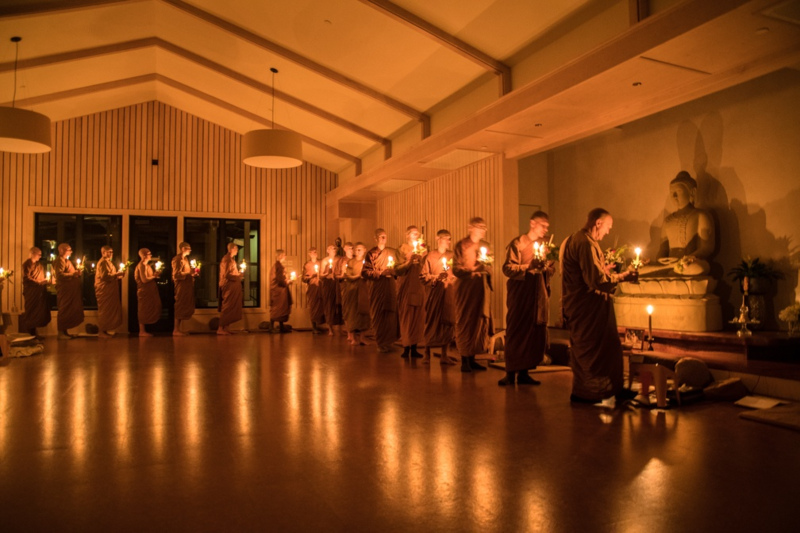 The Abhayagiri community is currently preparing the monastery for three days of Dhamma reflections and practice on the weekend of Friday, June 29th, Saturday, June 30th, and Sunday, July 1st to celebrate the completion of Abhayagiri's new Reception Hall. 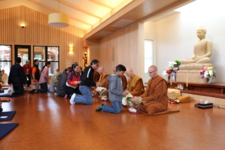 In addition to the weekend itself, the days leading up to the celebration will feature a host of talks and arrivals by senior teachers of the Ajahn Chah tradition. The result of six years of work, the new reception hall features a meditation hall, kitchen, library, and other facilities, and will serve as a center for monastic and lay activities in years to come.